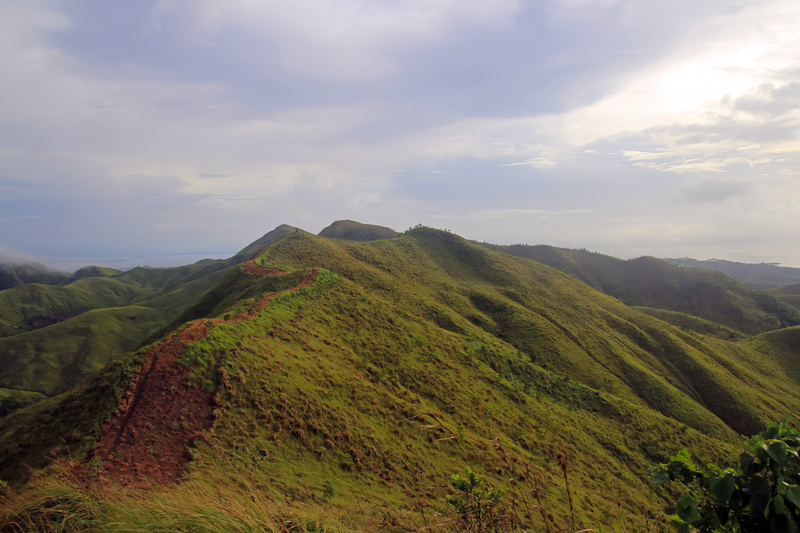 Have you heard of Binabaje Hills in Alicia, Bohol? 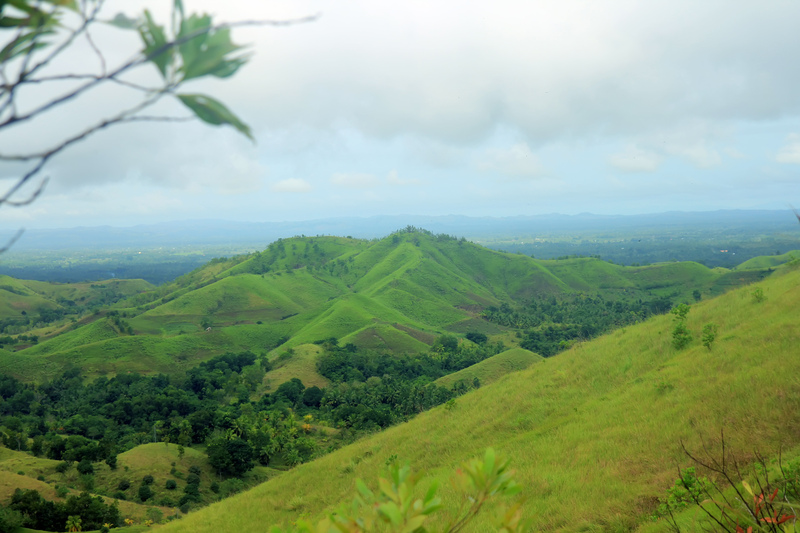 Well, maybe you’ve only heard of chocolate hills, right? Bohol is considered as one of the best Provinces in Central Visayas due to its astounding tourist spots and rich cultural heritage. Bohol is known for its beautiful coral reefs and beaches in Panglao island and the amazingly bizarre geological formations in Carmen Bohol, the chocolate hills. 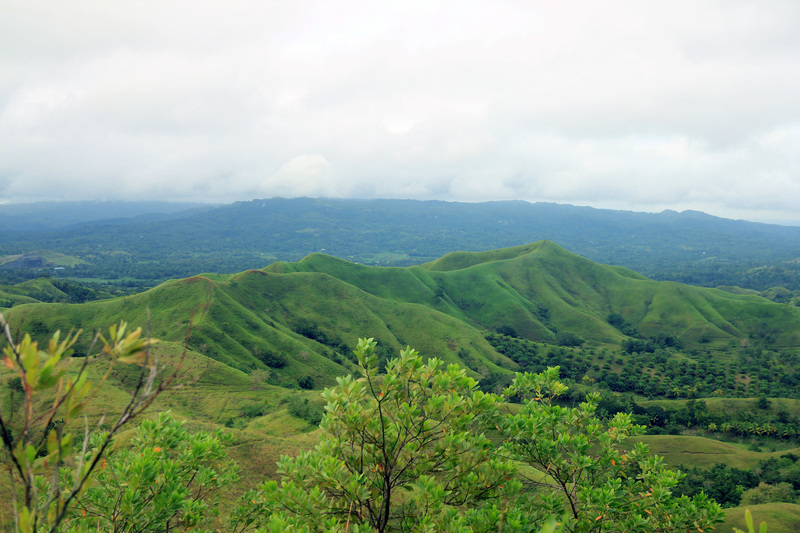 The symmetrical mounds that turn into chocolate-brown in dry seasons making it a grandiose vista of cocoa-brown hills contrasting beautifully to the lush green surrounding forests. 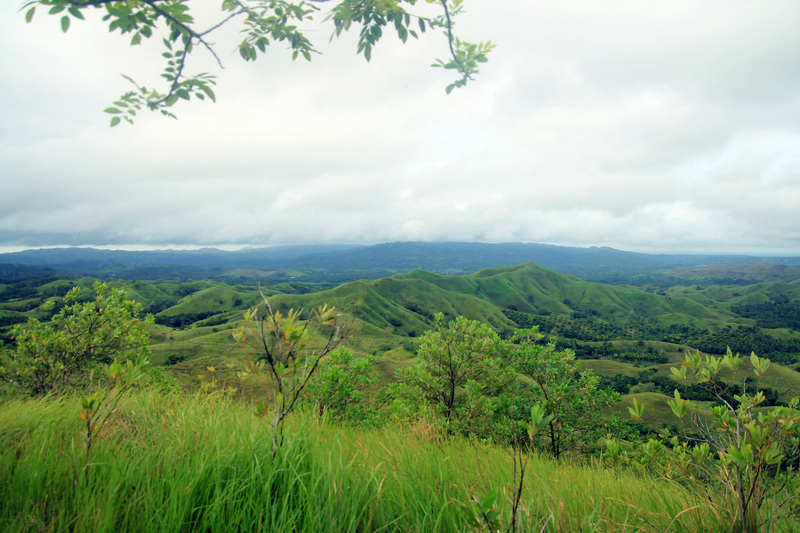 Bohol is known for these tourist attractions for so long now. From the wide arrays of tourism offerings ranging from white sand beaches, caves, waterfalls, old structures, the man-made forests, the luboc river, tarsier sanctuary and the infamous chocolate hills, who would have thought that this province can also offer other breathtaking vista like the Can-umantad falls, Cadapdapan rice terraces and the grandiose rolling hills in Camba-ol, Alicia, Bohol – the Binabaje Hills. 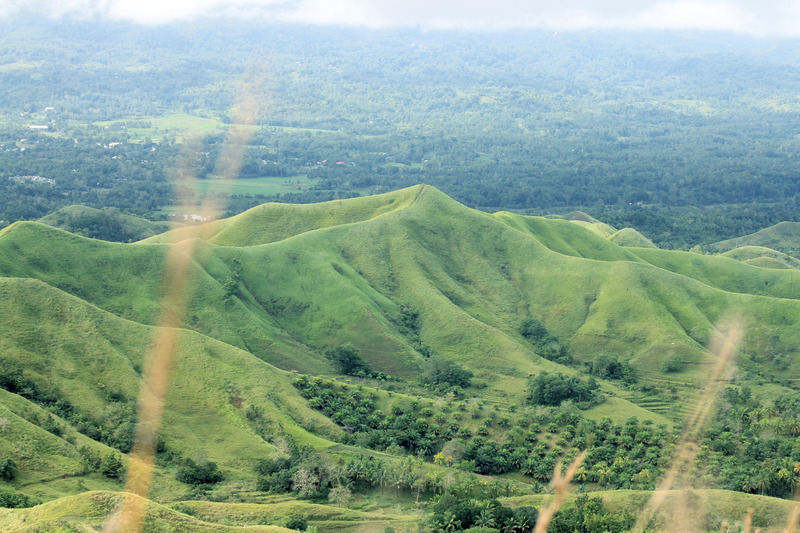 I’ve visited bohol few times already but I haven’t heard of this beautiful rolling hills called Binabaje Hills in the municipality of Alicia. Answering to the wanderlust in us, with no hesitations we responded the invite of a good friend – Marc of @theweekdaytraveler, and hopped into an adventure weekend to quenched our wanderlust thirst. 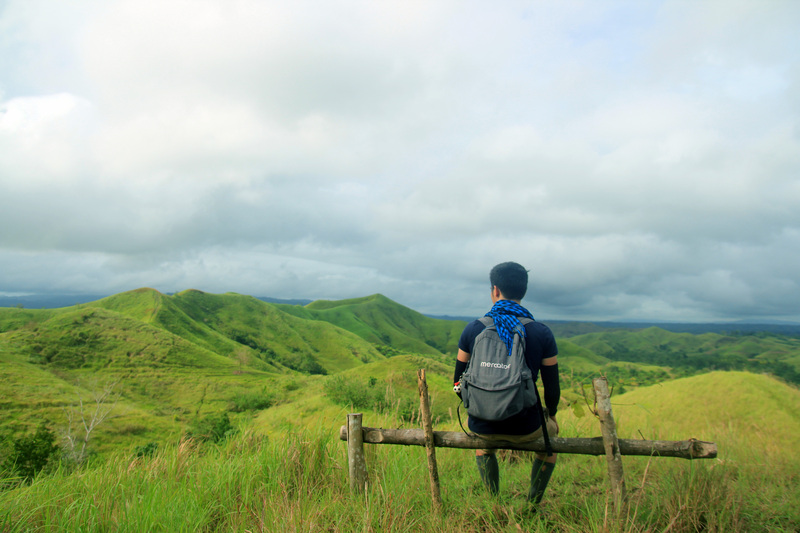 The plan is to trudge Binabaje Hills, bask in the beauty of Cadapdapan Rice Terraces and immerse ourselves to Can-Umantad Waterfalls and Anda de Boracay beach. We agreed to depart from Cebu on the Saturday morning but due to some of us has still work until 1PM, we adjusted the itinerary and agreed to board the 1:30PM trip bound to Tubigon, Bohol. It was a win-win situation for us since we usually woke up late on Saturdays. We went to the port at around 1PM and tried to secure our tickets, but fast cat is fully-booked already. Our next best option is to get on board the Star Craft trip at 3PM. Given the departure time of 3PM plus the travel time from Tubigon to Alicia, we can’t make it to Binabaje Hills before sun down. So, we prepared ourselves for a possible night trek. We buy our tickets then and boarded the Star Craft at 3PM. Sail time is around 2 hours. The excited souls happily hopped in to the vessel with excitement of the adventure that awaits ahead. The universe seemed to be in our side as the waves of the sea were steadily creeping towards us and crawling gently to the shore. The ebbing tide was harmoniously groaning and the gushing waves are beyond comforting like kindling its own symphony. The metronomic gurgling waves is too hypnotic that put us all into sleep. Past an hour of sailing, the horizon seemed to be stitched with a gray line. The skies dimmed and the quivering sea unleashed its mighty power. The echo of a raspy rumbling from the enraged sea came to us, and battered the vessel that we are in, tremulousness to fear. The waves were sloshing, slurping and slobbering with their salty lips. They pounded into the vessel we’re in, then paused and pounced again slamming the vessel for several times. A rumor of its malevolence gets into the skin to some of the passengers and cause them to panic. Everyone was watchful after some of the passengers shouted “Jesus! Help us!” as the strong wave juddered us causing our vessel to tilt significantly to the side. After few moments of experiencing the smacking, smashing and expunging awful rage of the surging waves, the port of Tubigon can visibly be seen from afar to everyone’s relief. The slurpy slapping of the sea was muted, back to the metronomic murmur. The waves were merely snoozing, sluggish and slumbering in their liquid robes. A current of cold electricity passed through the air. We shivered. The wind whipped up. The setting sun appeared beautifully. The once gray horizon became a line of silver and gold. The sea simmered. Thank God. Upon docking in the port of Tubigon, we disembarked and had our last-minute buying of stuffs for the trip. We bought dinner as we are certain that we have no enough time to cook our meal when we get there at Binabaje hills. After buying our stuffs, we hailed on a van going to Carmen. The sun is about to set already and the skies are getting gray again. After few minutes of van ride, we alighted at the gasoline station in Carmen and wait for a bus bound to Alicia. It is already past 6PM and the skies started to shower its blessings upon us. We hailed a bus going to Alicia few minutes after but unfortunately the bus is full. We have no choice but to hopped in and stand inside the bus throughout the trip. The rain poured heavily as we travelled to Alicia. We are worried because we might be having a wet night trek to Binabaje Hills but at the same time it sounds very exciting, right? We arrived at the Municipality of Alicia past 7 in the evening. We hurriedly disembarked from the bus and proceeded to the tourism office to meet Maam Gode and register. But something funny happened, Marc left the roasted chicken on the bus. Everyone is laughing as it seems that we won’t be having our dinner soon. We are thinking of plan B about our meal like buying something to cook in the market since carenderias or resto in the town are already closed. Odds is in our favor then as one of our guides helped us chase the bus to get our chicken, I mean roasted chicken. 🙂 Good thing, the bus route is just until Alicia and we got our dinner back. We met Maam Gode, registered our names and had a quick orientation and introduced ourselves to our drivers. The drivers Maam Gode arranged for us are also riders and are very familiar with the trails, so we are safe on our journey even the rain is about to pour again. After 30 minutes of a very bumpy ride on a very slippery and rough road, we reached at the jump off, soaking wet as it rained on our way. We took shelter on the house near the jump off, and decided to have our dinner as our stomachs are rumbling for hunger already. After dinner, while the rain stopped we started our trek. It was already 8:45PM. We are just chill as we started the night trek, but as soon as we started the ascent, it seems that our lungs would give up any minute. The air is getting thinner, the skies are getting darker, the wind is blowing stronger and the downpour is getting heavier. We had our umbrellas and rain coats ready but our bodies were not. The first hill ascent seemed okay, until the second, the third and until on the succeeding hill ascents, the wind blow is getting crazy, our umbrellas couldn’t stand it. We have no choice but to get ourselves wet. The trail is too slippery; the soil couldn’t get more loose by the heavy rain downpour. The long perennial grasses (cogon/talahib grass) will be your best friend for a while. But these grasses are not too friendly per se. It won’t let you hold them without cutting your skin like a fruit ninja. But situations like these, leaves anyone no choice but to clutched on the knife’s blade. 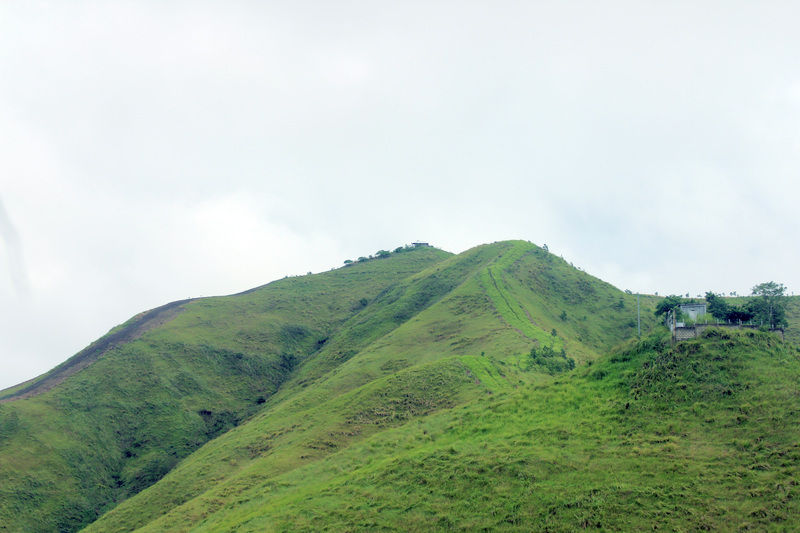 Some parts of the trail to Binabaje Hills are too bare that you can’t find anything to hold on to while ascending. You have no choice but to crawl your way up, else you will find yourself down below the hills. Some parts are too steep that when you make one step up, you will find yourself two or more steps down when you’re not careful enough. But these kinds of experience don’t make our adventure less exciting, in fact it added more flavor to it. The adrenaline junkies were more than happy and laugh it out as we approached Labawan peak where we will camp for the night. After two hours of flounder ascents, we reached to the camp site. The camp site has a small hut built by the local government that serves as outpost to over watch the activities nearby the rolling hills like wild fires, etc. You can take shelter on this hut in times when your tents couldn’t withstand the harsh weather conditions or heavy rains. We took shelter to the hut temporarily until the heavy downpour subsided. We changed with dry clothes and prepare to set up our tents. At around 11PM, we setup our tents while some of us were not able to set up the tents and decided to take shelter inside the hut. We had an ephemeral social gathering for the night with a bottle of local wine. After, we called it a night. We were supposed to wake up at 5AM to watch the river of clouds and catch the sunrise, but the rains didn’t bother to stop until around 6AM. Some of our companions who took shelter inside the hut already called us at around 5AM, but sleep is irresistible given the weather condition outside. It feels too good to stay inside the tent at that time, but we must go by 7AM, so we have no choice but to get out and break camp in a chilly morning. 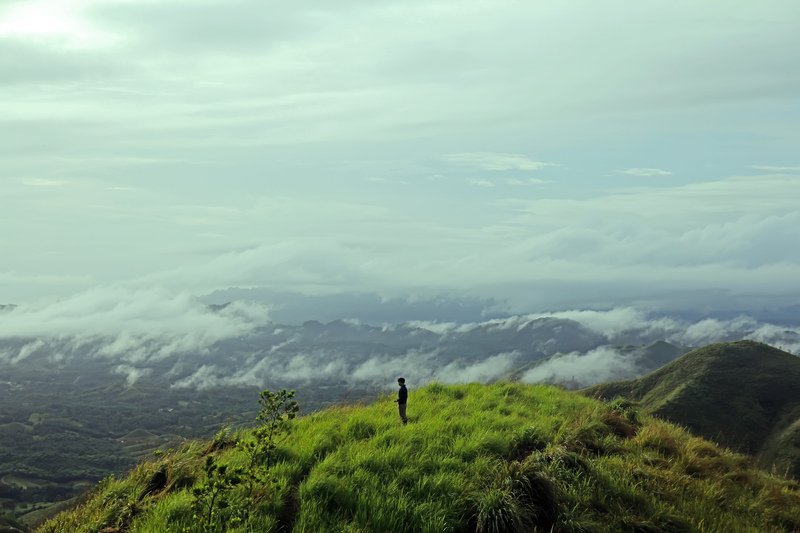 We then went outside to witness the beautiful vista atop the Labawan peak overlooking the Binabaje hills. The view outside is stunning. 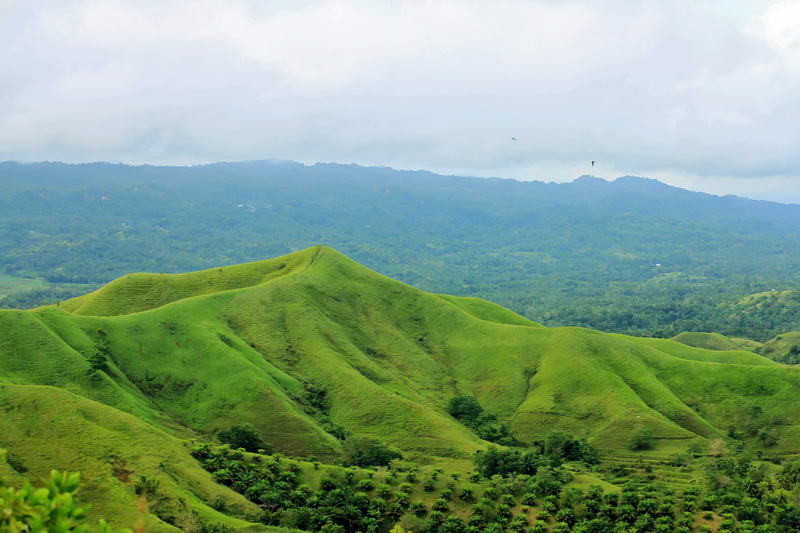 The creamy lush greens of unending rolling Binabaje Hills will unleash before your own eyes. 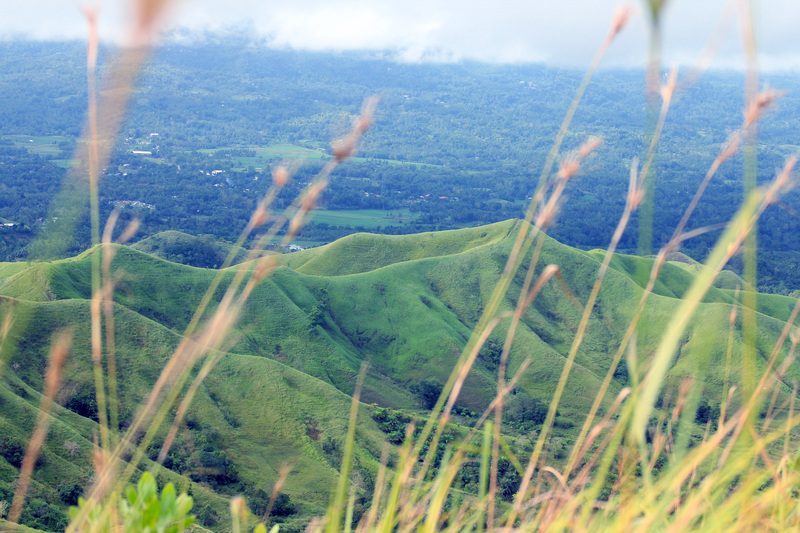 The panoramic view of the Binabaje Hills is mesmerizing and hypnotically enticing that you wouldn’t want to leave sooner but enjoy the view as much as you can. 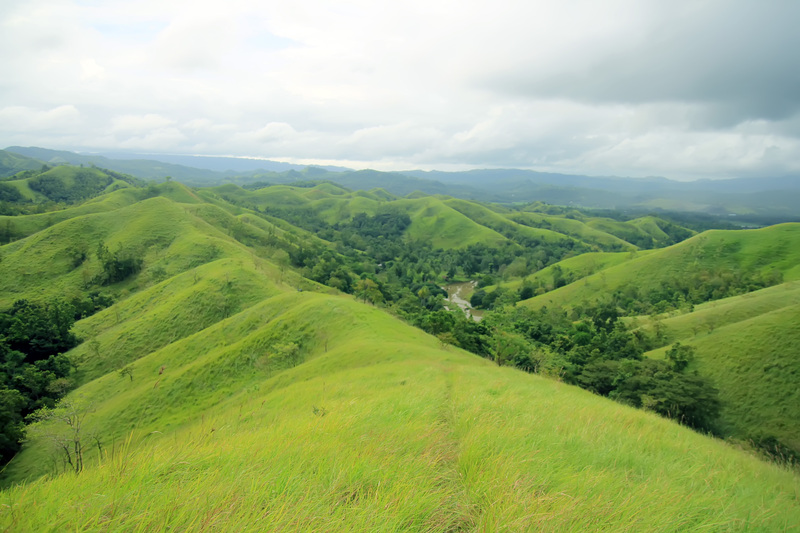 At the camp site, you can have a 360-degree view of these rolling hills cloaked in lush green tropical grasses. 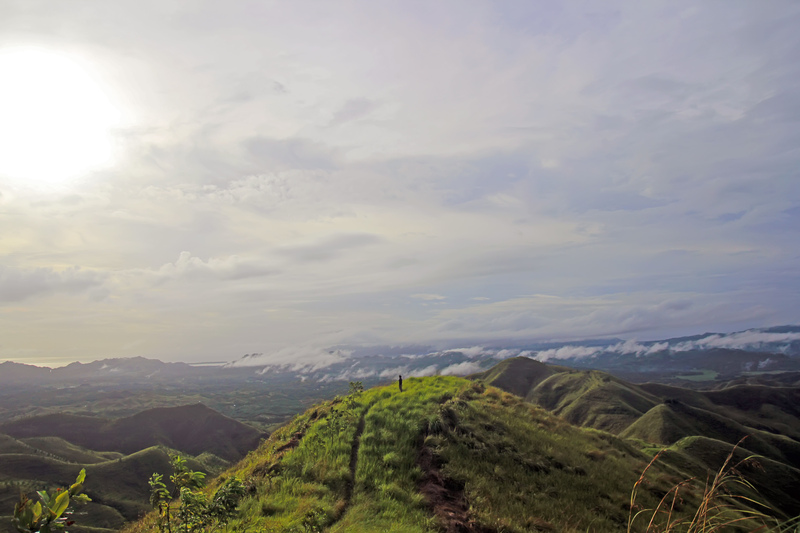 A mesmerizing scene aside from the overlooking view of the Municipality of Alicia and its neighboring places. 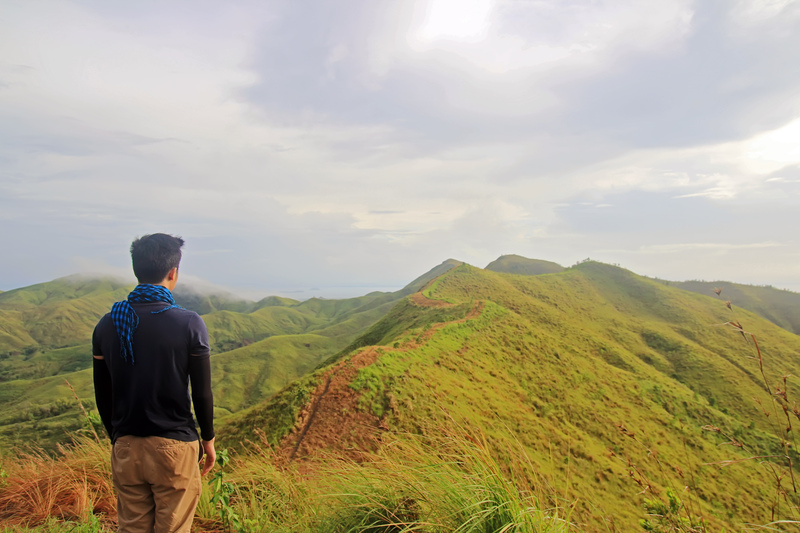 One could say that the chocolate Hills is the most beautiful tourist spot in Bohol but for mountain lovers like me, I would say that Binabaje Hills could be the next top tourist destination in Bohol in due time if not sooner. There is something in these Hills that would make you stop every now and then, take pictures and or just enjoy the beautiful creation unleashed in front of you. 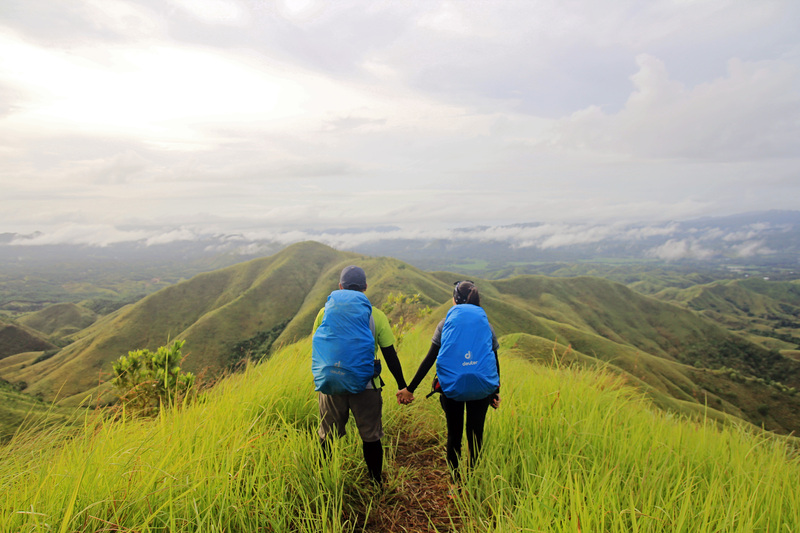 Words could not limn how grandiose this Binabaje Hills is, so I would leave it up to you how would you describe this newly found gem, the pride of Alicia, Bohol – the rolling Binabaje Hills. Leave your thoughts about Binabaje Hills in the comment box below. How to get to Binabaje Hills? 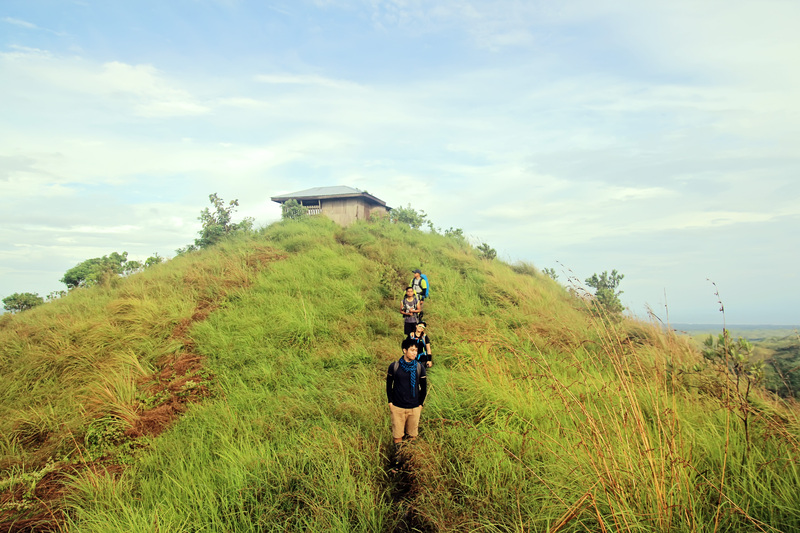 I think the fastest way to reach Binabaje Hills when you are from Cebu is through Tubigon. Aside from having a cheaper fare, the travel time is relatively shorter. From Cebu get on board any fast craft bound for Tubigon and from there, hail a Bus or van bound for Carmen, travel time is around 40 minutes to an hour. From Carmen, ride a bus bound for Alicia. Travel time is more or less 30 minutes. Alight at Alicia Municipal Hall. If you are not familiar with the place, tell the bus helper/ driver to drop you off at the Municipal Hall which is just along the Highway. 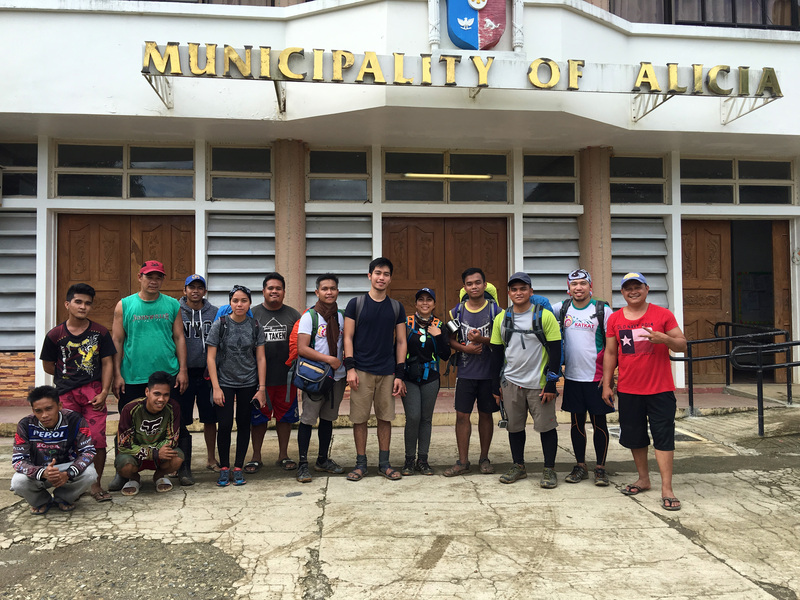 Go to Municipal Hall of Alicia and look for Maam Godelia Lumogdang, the Municipal Tourism Officer. I highly recommend to call or text her at 09338655650. Inform Maam Gode ahead of time that you’re coming to climb Binabaje Hills to avoid possible delays and conflicts with other visitors. Another alternative to reach Binabaje Hills is via Tagbilaran City (sea Port or Air Port). From Tagbilaran City, you can ride a van or bus bound for Alicia. The travel time is more than 2 hours. 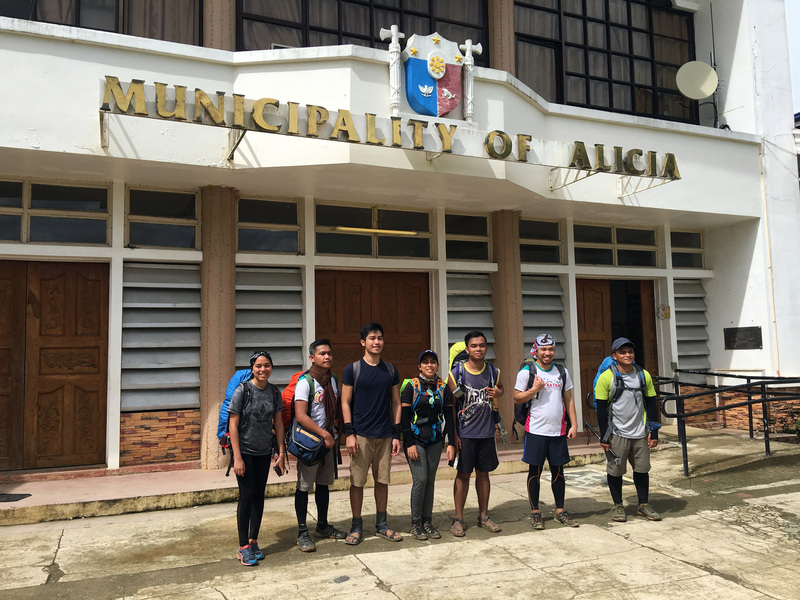 Alight at Alicia Municipal Hall. If you are not familiar with the place, tell the bus helper/ driver to drop you off at the Municipal Hall which is just along the Highway. Contact the Tourism Office beforehand so that they can provide guide(s) ahead. It can save you from possible delays in the Tourism office during registration while looking for one. 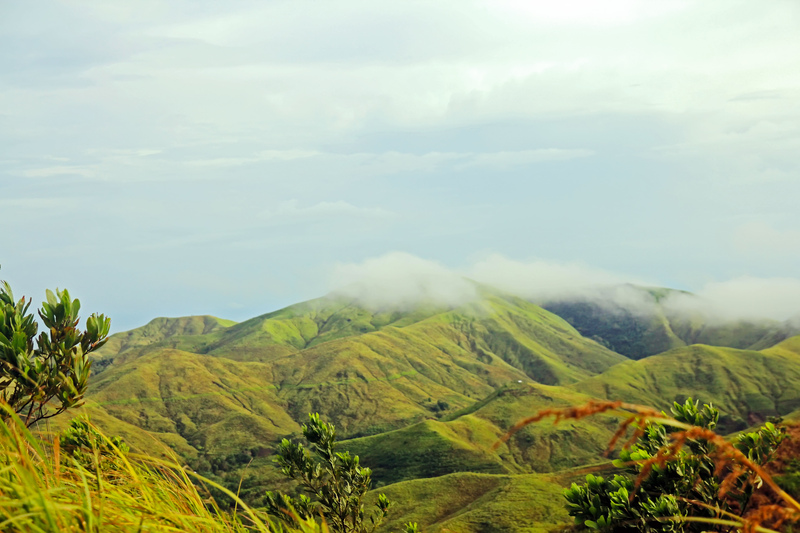 Contact the Municipal Tourism Officer, Maam Godelia Lumogdang, ahead of time about your plans to climb Binabaje Hills. You can call or text her at 09338655650 for inquiries and other necessary arrangements. She is kind enough to fix everything for you, from getting the local guide and transportation for you. Usually your motorcycle taxi driver will also be your guide. 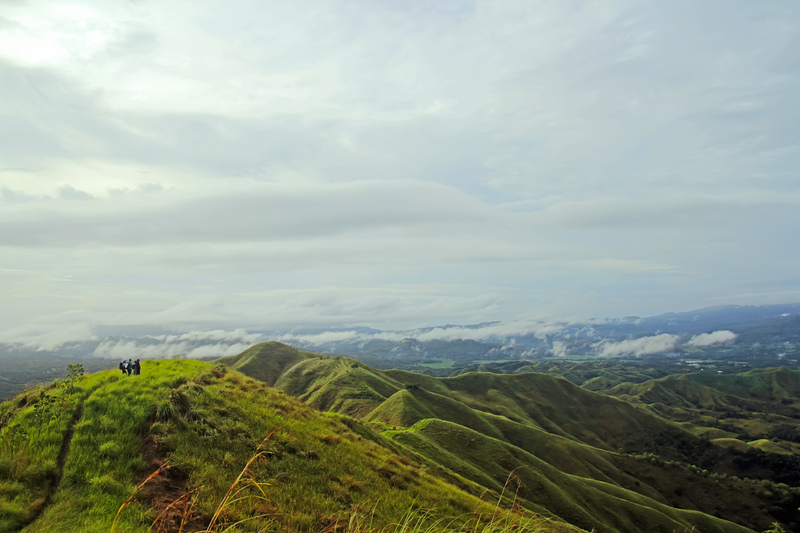 Wear proper trekking attire and sunscreen if you’re trekking midday or past noon since the trail is very open. Literally you will be trekking on a rolling grassland. Parts of the trail have very loose soil that can be very slippery and muddy especially on rainy season. Remember to waterproof your valuables and other things as the weather nowadays become more and more unpredictable. Bring enough food provision with you, which may include your packed meals, trail foods. Always remember to have a proper meal plan if traveling in a group. Bring enough water and other liquids since there is no water source along the way. 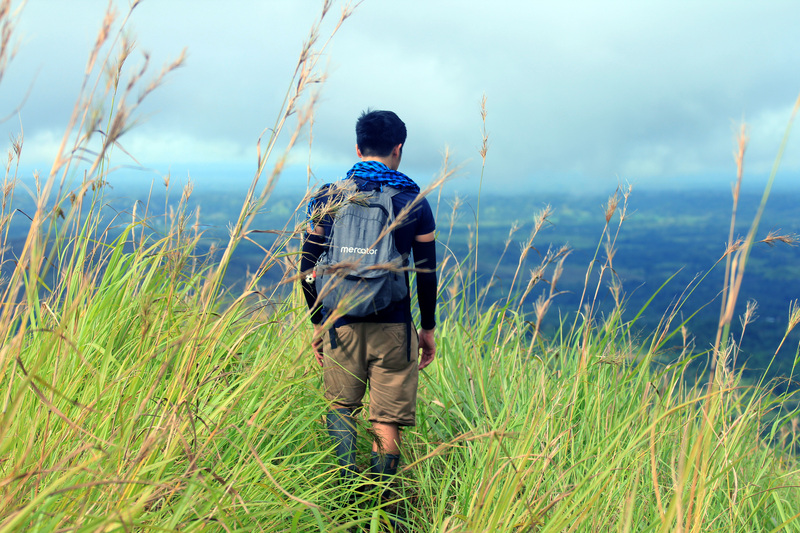 If you are trekking in a sunny day, bring with you around 1-2 liters of water. Bring more if necessary. If you are planning to spend the night in the hills, it is advisable to go in small groups. The camp site is just too small to accommodate more tents. Preserve the cleanliness of the place by observing the leave no trace principle. Whatever you bring in, pack it out. Do not throw garbage anywhere or leave anything behind rather pack it out and dispose it properly. Be part of the solution, not part of the problem. Practice responsible tourism. Note: Food expenses are not included here, as you may have different preferences as ours. kanus.a mo ngadto bai? Carmen man amo. 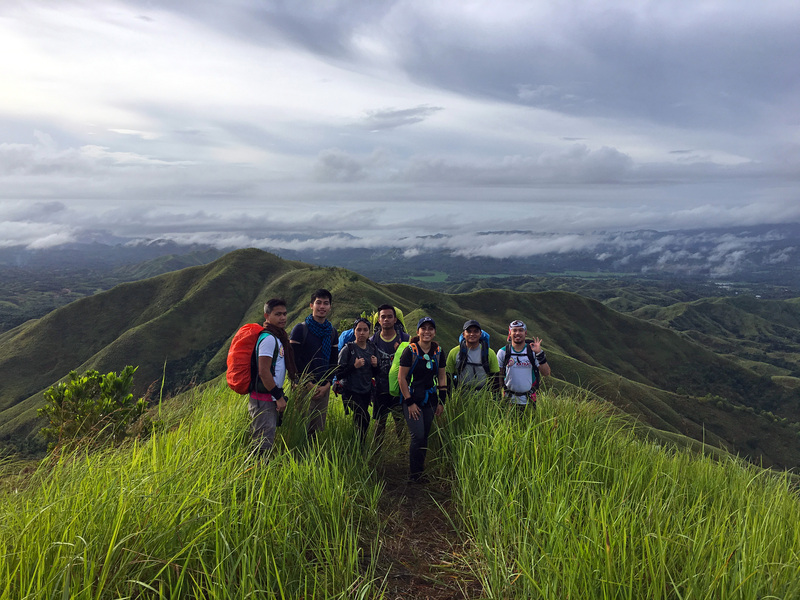 Unsa katas a ang trekking? Like pila k.oras tnan if dli mg.overnight? I could not give an estimate since everyone has different pacing when it comes to trekking and it dependa on the weather and condition of the trail. But you can do it halfday and even in just few hours. Mada ra sa beginners ug saka? thanks and daghan ra sd mag camp ddto? Kaya ra sa beginners. During the time of our visit, the place is not that known to many yet, so campers are not that many. I don’t know now, since the place is getting popularity already. Hi there sir. I was grinning to ears as I read your article because we have the same experience, it was also raining so hard when we went there, it’s 7:00pm we almost gave up, but good thing we didn’t. the experience is so wonderful and iwill treasure it forever. I celebrated my birthday in there and it is the best experience ever. 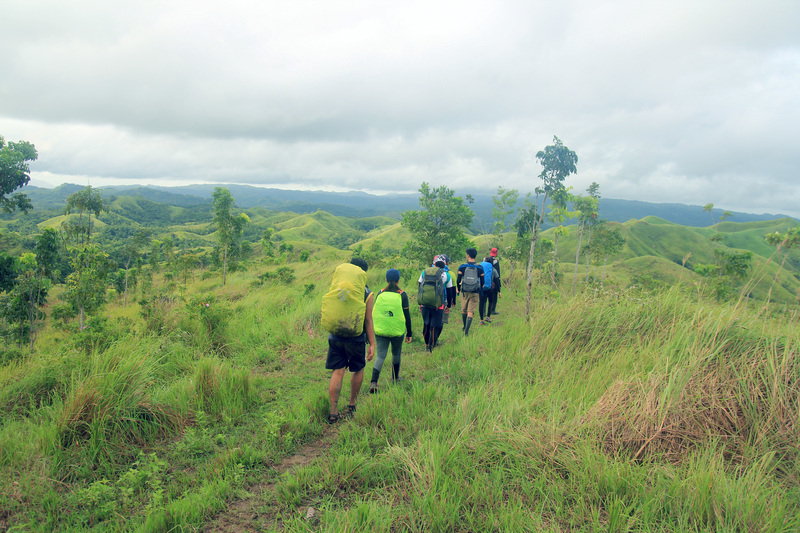 Its my first time to do trekking and I’m so eager to do it again:) Good luck on your next trekking and GOD bless!